Highly palatable non toxic monitoring bait. 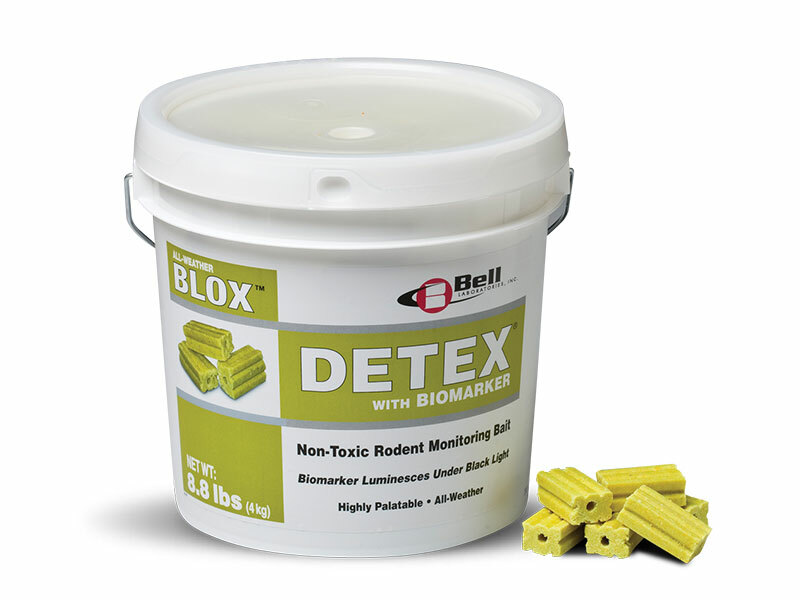 There is now a demand from food manufacturers and large industrial businesses to monitor constantly for rodents with non toxic bait. Detex fits perfectly into this situation. The new Detex from Bell contains a flourescent marker which glows under UV to aid with tracking infestations.